If your home has brick or stone veneer sides you may not realize it but when it rains you have a very nice waterfall between the interior wall and the masonry wall. Let me explain how this works. Masonry is porous and can allow large amounts of water to seep through the mortar and stone work, depending on how hard it rains. All that water has to go someplace and depending on how the stone work was installed will determine if your flooring and walls stay dry or wet. All masonry homes are not true brick or stone constructed structures. The home is built with conventional wood stick framing and a “veneer” stone or brick side is placed in front of this. 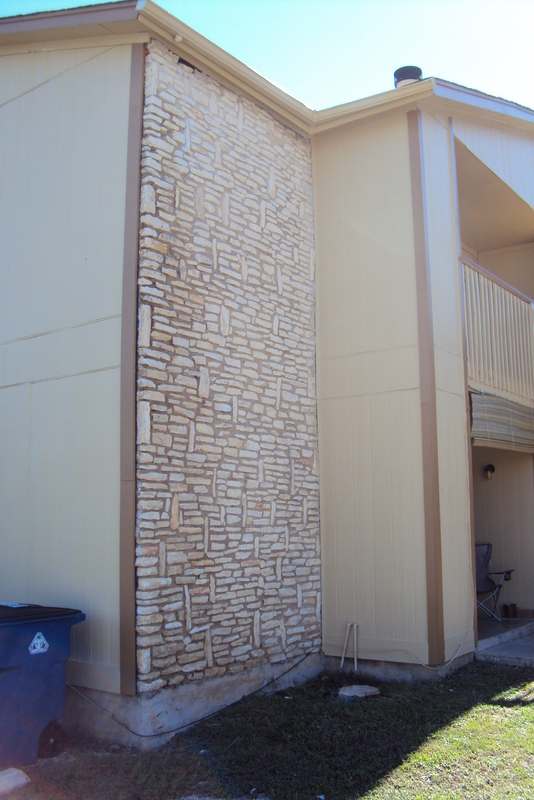 The masonry wall has no load bearing properties and is simply there for aesthetics. 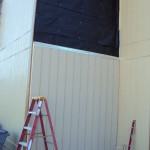 Between the wood wall and stone work is a water resistant membrane. Moisture runs down behind the stone work and is channeled out the bottom of the brick pocket through weep holes at the bottom of the concrete ledge. This works all well and good as long as the weep holes are not covered up with debris. Sometimes as the masonry workers are applying mortar inevitably some of that mortar finds its way down behind the stone work and to the bottom of the brick pocket where it hardens. This blocks the steady flow of water out the weep holes and as water looks for the path of least resistance, finds its way into your home. Sometimes you may never see it because it stays within the walls only to show itself when the structure begins to decay. 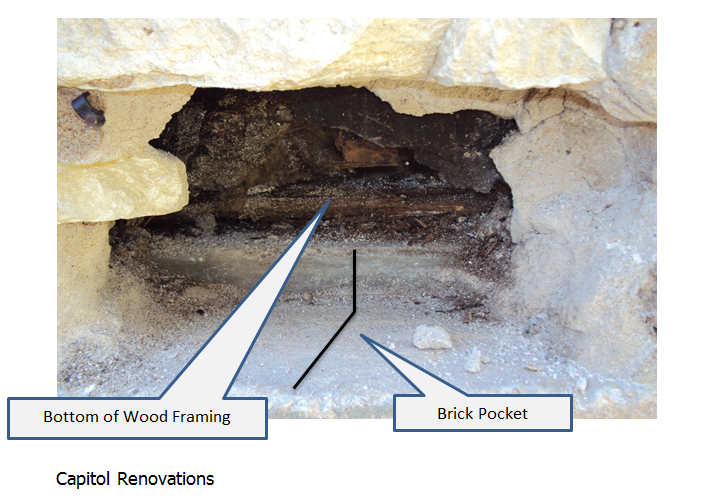 At this point, structural repairs become very costly. 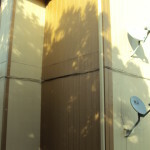 The photos in this article show what Capitol Renovations had to do to an apartment building with this problem. 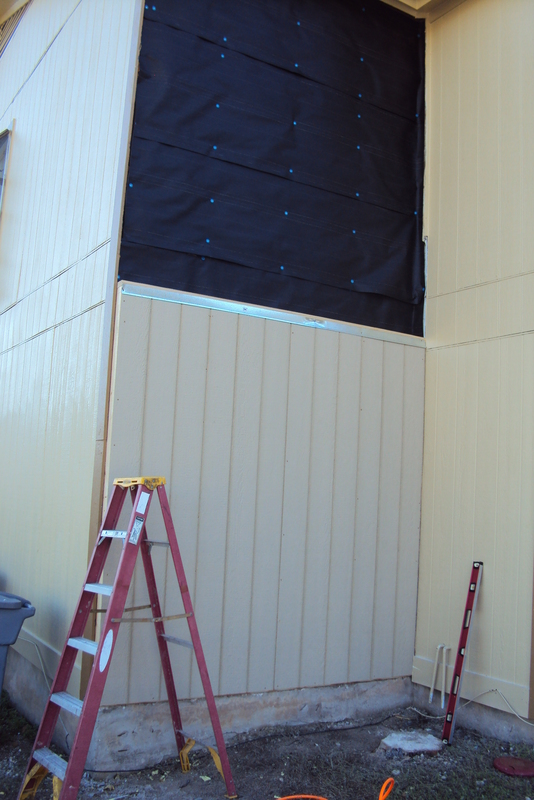 It became so bad that the wood framing behind the stone wall area had to be replaced. Once all this stone work was removed, Capitol Renovations built a second wood frame onto the brick pocket and installed siding. Problem solved! 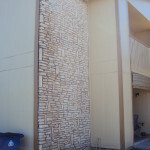 Now, we could have gone back with stone instead of the siding but this would have added to the cost of the repairs and the chance of it happening again. 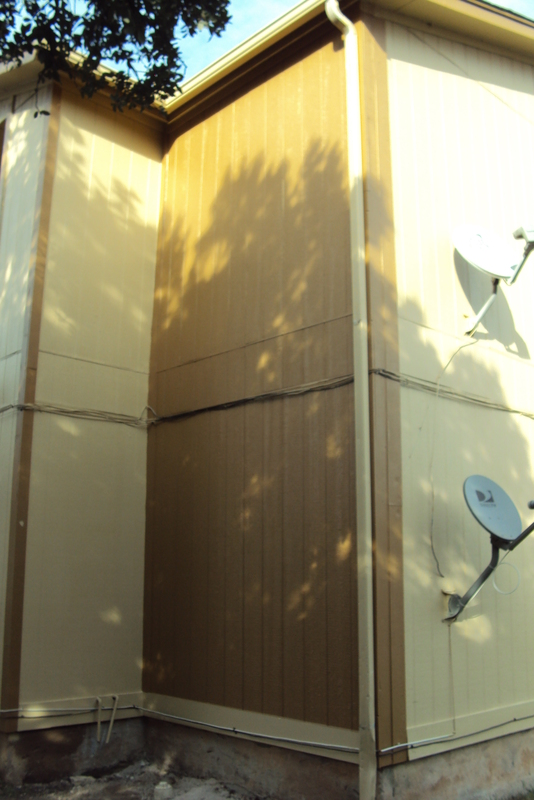 The owners decided to go this route and save the money especially because of the age of the building. Smart move on their part. As a homeowner with this type of construction, always check around your home to ensure that the little weep holes at the bottom of your brick or stone work are not covered up with debris or flower bedding. Never place ground cover (dirt, grass or plants) above your foundation line. This is a big mistake and can most certainly cause water damage at a very fast rate. If you think that the weep holes on your masonry is not allowing water to flow, check it during a hard rain. I know you may get a little wet but it’s better than having your home water damaged. We hope this article has given you some helpful information. After all, it is your Capitol and Capitol Renovations is here to help you preserve it.